I believe many people think about starting a journal yet don’t. Why? Possibly due to not really knowing where to begin. Maybe it is even the confusion of what sort of journal to start. With so many ways to journal the best journal to start is the one that is correct for you. 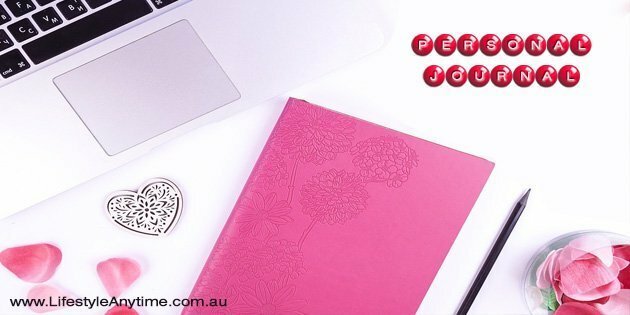 That may mean trying a few different journal types first to discover which personal diary suits you best. I know when I started journaling, I questioned myself on where to start, how to start and even what to write about or draw. I also questioned whether I should keep a paper journal in a beautifully crafted book or an online journal. Oh! my, I just seemed to overcomplicate it. In fact, I tried starting a journal quite a few times before I really stayed committed to it. The reason I believe I stayed committed this time is that I write my journal by hand. I also know why I keep a journal and I see the health benefits it provides. Why you would like to start a diary or a journal is the first questions because it can define the sort of journal to keep. 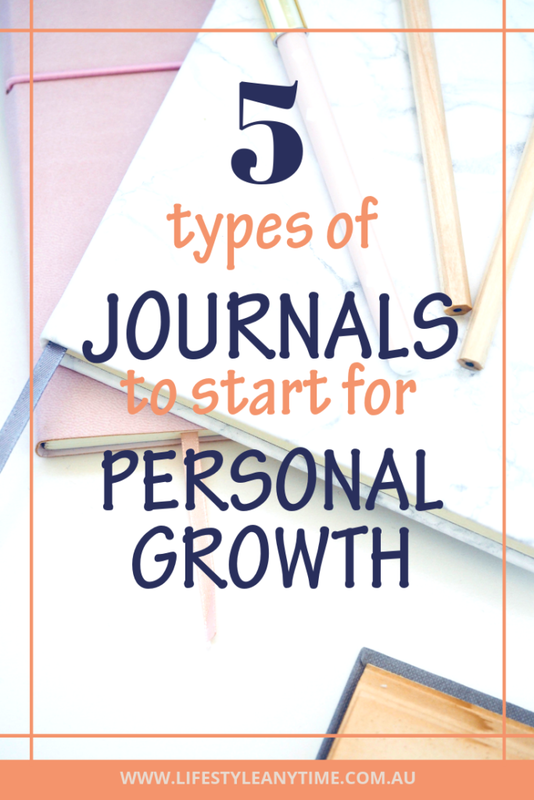 A few main reasons why people keep a journal is self management and personal growth. As well as mental and emotional health benefits. Keeping a journal is a great way to express your emotions and clear your head. It is also a free tool for healing emotional pain, tracking your goals and building up self esteem. Journaling can help with overcoming limiting beliefs and seeing our successes. It also helps with creativity, ideas, communication and processing of information. Reducing stress, clarifying decisions, understanding yourself are some benefits of journaling. Though there are many more ways in which to Journal your way to better health. 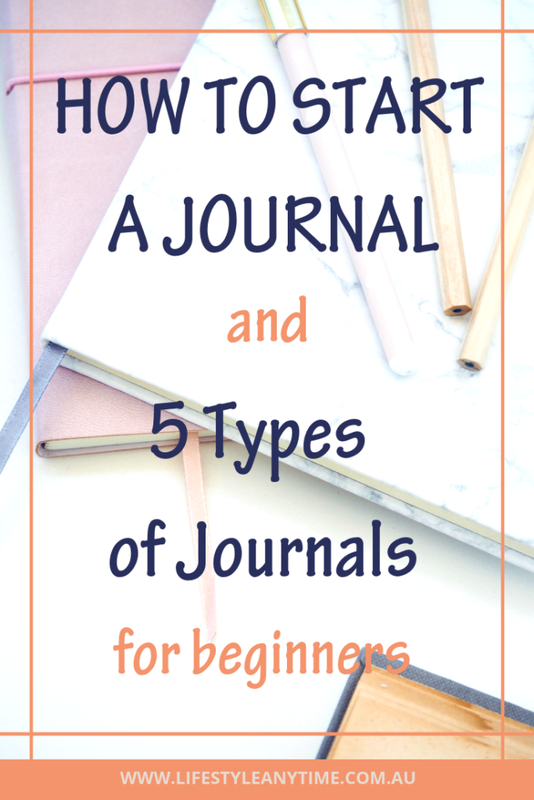 When it comes to starting a journal there are so many different types to choose. These are the 5 types of personal journals that I started with when I commenced journalling. 5 Types of Personal Journals. Gratitude increases health and wellbeing. The saying is ‘an attitude of gratitude’ and that is what a gratitude journal is about. It’s about expressing what you are grateful for right now. A gratitude journal encourages and inspires you to find something you are thankful for even in difficult times and challenging times. A good way to start this journal is to answer this question. I like the way that Darren Hardy expanded on being thankful with a Thanksgiving Journal. Darren speaks about this in his book ‘The Compound Effect’. Darren wrote about his relationship with his wife and struggles after an argument. He decided to work on his relationship with his wife. To do this he took time each day to focus on something positive to write about her or what she did for the family for a whole year. Darren than presented this gift to her on Thanksgiving. The Thanksgiving journal was born. A food journal is simply a journal where you track what you eat. It helps you stay on track with your diet, meal plans, sugar intake or whatever aspect of food journaling your choose to track. A great thing about tracking what you eat is that you are less likely to eat mindlessly. To keep a food journal, write down all the food and drinks you consume. The time you eat, breakfast, lunch, dinner, snacks and also how you feel when you eat. Although I write my meal plans by hand, I track my food with a food app. There are many apps to choose from. The one I like is the easy diet diary app not because I can easily see the breakdown of the food but because I can effortlessly copy a meal form one day to the next. This is such a bonus because I eat the same breakfast most days a week. 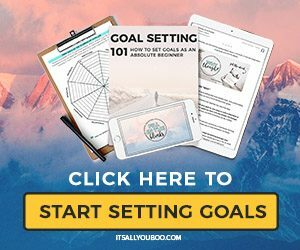 For blog posts and weekly inspirational and motivational content, including free printables to help you achieve your goals. A reflection journal is a way to express yourself, your thoughts, your struggles and your reactions and actions. It is like a diary where you get to write freely about your day, a current or past event or even a thought. When writing in the journal be as descriptive as you can in your writing. Note, as you write you may also be drawn to a similar thought, struggle, reaction or action from other times. Write about these if they come to your mind as you write. Some of these reflections may even be in childhood. Rather than question them, write freely as you think. 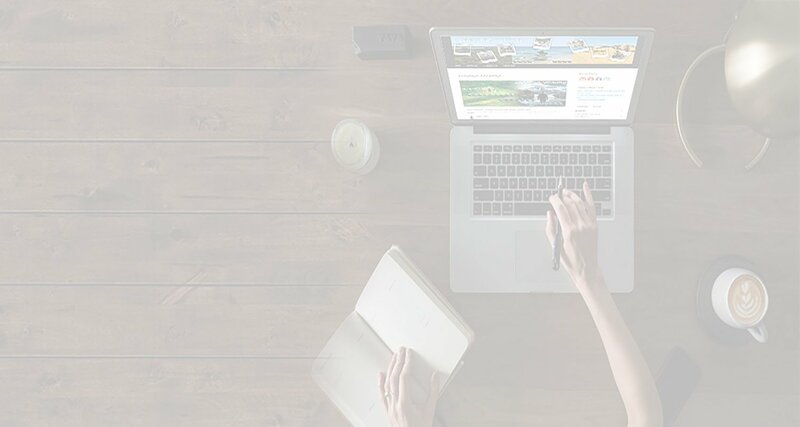 To write a reflective journal write freely for about 20 minutes either with pen or paper or with an online journal or word processing document. The journal is your journal to write and keep the way best for you. Benefits of a reflective journal. A reflective journal helps clear your head and relieve pressure or stress. It is quite often a journal recommended for healing as when you write you process information and gain clarity. provides a place to remember people, events, moods. Whatever you choose to record. This personal journal is a great way to capture areas of your life. In fact, a bullet journal is fantastic to use for self management. There are so many different topics you can keep track of with a bullet journal. Also, the journal can be set up with a yearly view, monthly views, daily views and even to do lists. What I love about bullet journals is that you can track your habits, your spendings, your business, your life. There is so much that can be tracked and beautifully displayed the way you would like to display it. A bullet journal is like your life organizer. The first thing to do is to choose a bullet journal to start creating and tracking with. Next, get some ideas on what to track in your journal. Pinterest is a great place to research bullet journal ideas. On your first page write an index of what areas of your life you would like to track. There are so many bullet page ideas to choose from. If you are new to tracking and journalling, start with a few and add more as you progress. You don’t want to be overwhelmed before you start. Ideas to track in a bullet journal. When you have decided what you would like to track in a bullet journal, design your pages. I like to write up a monthly calendar for self love and monthly calendar for business goals. I then use about four pages each day. At the start of the week, I write up a monthly meal plan. Every day I have a page for reflection and a page for my current goals. What I have found is the more you use a bullet journal the more your skills develop in creating your journal your way and your life your way. This journal not only helps you with setting core goals, but it also helps with picturing your day. For goal setting, it is great for keeping your main objective in focus. To do this, all you need is your sketchbook or visual journal, a few magazines, some coloured pens or paints and your ideas. Choose pictures to create a collage, draw or write your big ideas. Explore colour, textures and themes to create a vision, record a memory or express your thoughts in your art diary. Be creative. Some artists like to keep a sketchbook on them to draw their day, to picture a quote or something they have heard or read. Like the other journals, a visual journal is a way to record thoughts, ideas, reflections, goals, whatever you choose to capture in your book. Writing the first journal entry. When you open your journal for the first time and see the first blank page it can be scary. Deciding what to write or reveal on the first page should not stop you starting to write. Leave the first page blank. Go to the next page and date it, write your location if you wish and start writing or drawing. When you have finished your first journal entry, reflect and think about your first blank page. Ideas for the first blank page. Make a word cloud about your journal ideas. Write up a personal introduction about you and your current situation. List questions you would like to answer as you write in your journal. Write down your favourite quotes to keep you motivated and inspired. 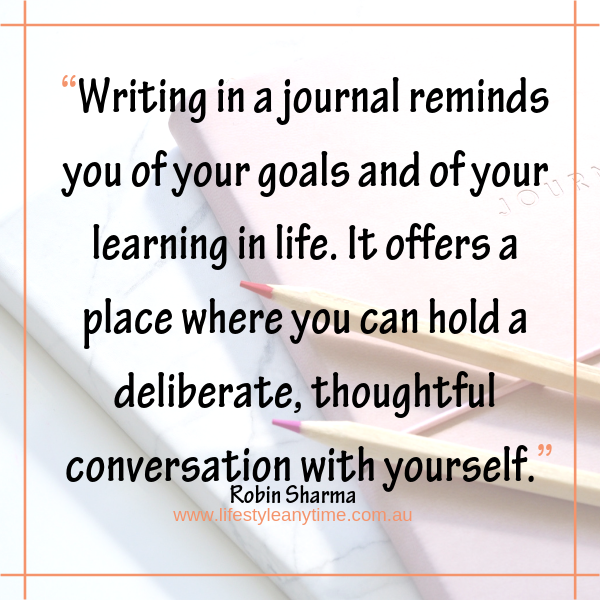 “Writing in a journal reminds you of your goals and of your learning in life. It offers a place where you can hold a deliberate, thoughtful conversation with yourself.” Robin Sharma. Express yourself in your journal. Your journal is your journal. The pages of your journal are for you. Express yourself, write down your goals, your thoughts, your ideas. 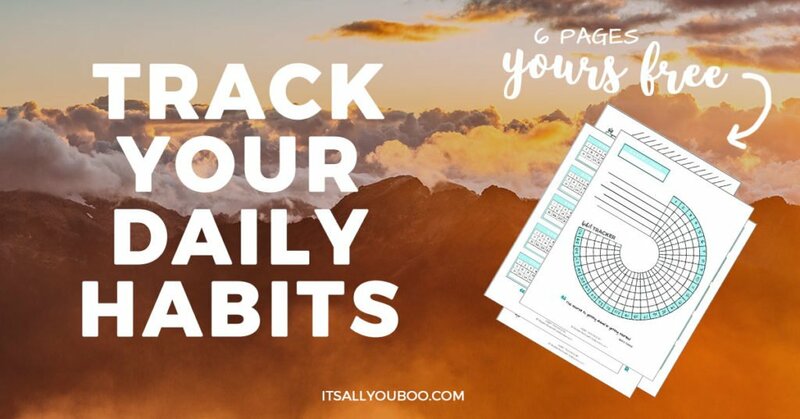 Track your habits, your moods, your actions. You will find that as you journal you will discover the best way to journal for yourself. Where I started I was unsure what sort of journal I wanted to keep. I started a bullet journal and a reflection journal. I now combine all in one journal as this works best for me at this current time. As I choose to have a journal which I can’t carry around with me, I keep a small notebook handy. This is so I can note down comments, quotes or things I would like to remember about my day. 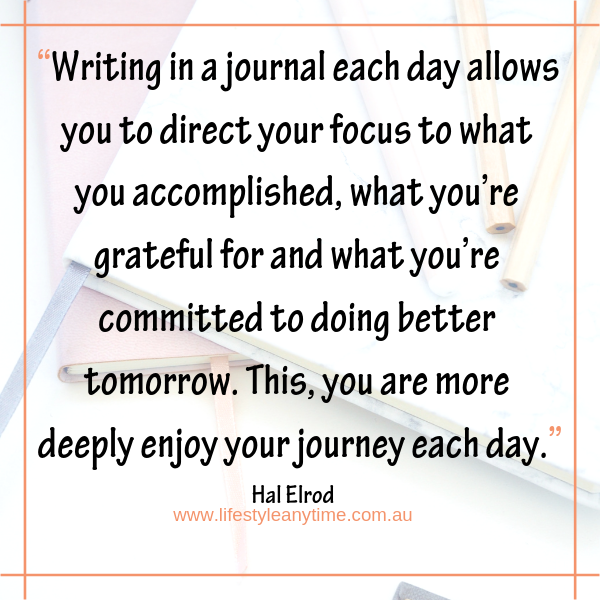 “Writing in a journal each day allows you to direct your focus to what you accomplished, what you’re grateful for and what you’re committed to doing better tomorrow. This, you are more deeply enjoy, your journey each day.” Hal Elrod. Scribing as Hal Elrod called it in his book ‘The morning miracle” is one of the life SAVERS which he recommends in his book. It is one positive way to start the day. If you’ve been looking at starting a journal. Do not get hung up on what sort of journal to start, as you can change as you become more comfortable and consistent with writing. Also, you can keep more than one kind. Keen to start today, don’t wait for supplies, just use a piece of paper, grab a pen and start writing or drawing. Every day, at home as a family we share what inspired us today. Maybe the first question you could ask yourself and write about is ‘What inspired you today?’ Feel free to share in comments. 6 replies to "5 Ways To Start A Personal Journal"
Okay, you inspired me! I cannot tell you the number of times I’ve started a journal and then didn’t keep it up. I think I need to make a regular time every day to write…something. You’ve given me so many ideas. Thank you so much! Your welcome. BTW…I don’t know anyone who has just picked up a diary and stayed consistent. The best way to create consistency is to build in the habit of writing at a certain time by attaching the habit to another habit. For example, straight after meditation or as the computer starts up in the morning. I love this post!! I had done journaling years ago pretty regularly and then stopped. 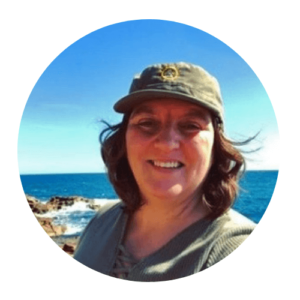 Recently I started again when I began focusing on some new goals (for midlife) and I really do get a lot from it. It helps me to think about what I’m learning, what’s holding me back, and my progress! I love your suggestions on how to start and leave that page blank. Thanks also for the tips about bullet journals. Thinking about starting this as well. Thanks, Lisa, I got back into journaling while setting goals for midlife too. It definitely helps with personal growth and remembering new ideas. Definitely try bullet journaling, it is great to track and the colours really brighten up the journal. Relaxing to do to. Look forward to hearing how you go. Thank you Trudy. Keeping a prayer journal sounds interesting. Do you write about how you do that? I imagine it is like a thoughts journal with an expression of gratitude, blessings and scripture. One way a visual journal will combine well with a prayer journal is in sending blessings.